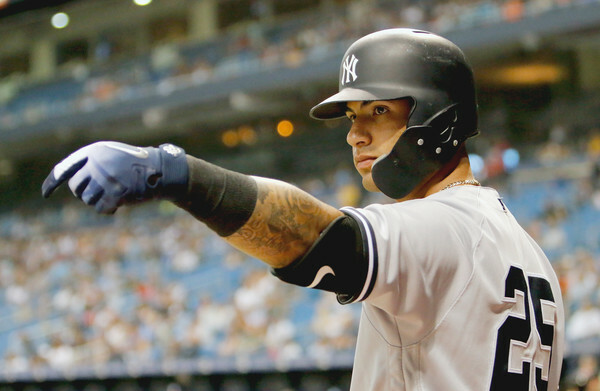 Prior to the 2018 season, Yankee fans had a lot to look forward to and one of them was the arrival of Gleyber Torres. The Yankees acquired Torres from the Cubs in the 2016 Aroldis Chapman trade along with Billy McKinney, Rashad Crawford and Adam Warren. Torres, who had been touted as a top talent since being in the IFA pool as a teenager, was the obvious crown jewel of the return. He was regarded as a top 50-ish prospect in all of baseball at the time, but the stock skyrocketed during the 2016 Arizona Fall League when he was named the league MVP after hitting .403 as a 19-year old (also happened to be the youngest of the bunch, which is cool). Torres entered the 2017 season as the easy consensus number one prospect in the system. He started the year in Double-A and earned a call-up to Triple-A mid-season. People speculated that he could make the majors by the end of the season. Unfortunately, his year was cut short when he injured the non-throwing elbow on a slide home. The Yankees and the fans had to wait through another winter to see Torres in the majors. All in all, after a slightly delayed start, Torres had a fine debut season, hitting .271/.340/.480 with 24 home runs in 484 PA’s, good for a 120 wRC+ and a 1.9 fWAR. A 21-year old 2nd baseman hitting 20% better than the league average in his first ML season? I’ll take it. His performance earned him a third place in the AL Rookie of the Year voting as well. Many hoped that Torres would make the roster right out of camp. However, two things got in the way. First off, he did not do well in ST. In 13 Grapefruit League games, Torres hit .219 with ten strikeouts. He hadn’t hit live pitching since last June so some rust was expected, and the Yankees probably wanted him to get some reps in Triple-A before making the majors. Another reason – probably a bigger one – was service time. A short stint in the beginning of the year meant that the Yankees would control him until 2024. Teams manipulate service time all the time – the Cubs with Kris Bryant, the Blue Jays with Vladimir Guerrero Jr., so on. Anyways, the hope for the Yankees was that Torres would shake off the rust and play well enough in April to justify a call-up (*cough* right as the cutoff date for service time extends *cough). From June to July, Torres cooled off a bit, but his numbers were still pretty great at the All Star Break: .294/.350/.555 with 15 home runs, which is good for a 143 wRC+. His overall first half performance was good enough to get an All-Star nod. However, because he was in the disabled list at the time (hip injury), Torres was not eligible to play in the Midsummer Classic. There comes a time in most young ML players’ careers where they struggle. That is to be expected, especially in the case of a 21-year old infielder playing in a different position than what he’s used to. From August 1 to the end of the regular season, Torres hit .254/.335/.420 with 9 HRs in 54 games. That includes a brutal 22-game stretch in August where he only hit .205 with 3 extra base hits in 95 PAs. What happened? As far as we know, it was just a plain slump, which may be the easiest explanation. All players go through it. As for a young guy like Torres, who breezed through the minors, one can press himself too much in the majors and get into a mental funk. Another theory is that his hip problem bothered him throughout the second half. I don’t know (yet) if there’s any quote from Torres himself that denies the notion of being affected by injuries, but if there is, I would take it with a grain of salt. A baseball season is a pretty long one. One can get a banged up from playing a single game. Over time, players develop bruises, sore spots, nagging pains, etc. they just don’t talk about it. it’s possible that the pain affected his play, but not big enough to stop him from the action. Besides, the Yankees had some key injuries during his slump (most notably Aaron Judge and Didi Gregorius), which emphasized the importance of Torres’s role in the team. There *was* a game late in the season where he was scratched from the lineup for “hip tightness.” Totally just speculating here but I wouldn’t be surprised if hip problem was a factor in his second-half slump. It is as routine as it gets, but Torres missed it on a simple glove-t0-hand transfer. Because it is so routine, Torres didn’t bother paying attention to the slight details, which cost the Yankees an out or two here. The good news is that stuff like this is fixable. Unlike Miguel Andujar, whose defensive downfall is from his lack of range, the fix on Torres is mental. The time and potential is on his side. While fielding percentage doesn’t hold much weight anymore, it tells a little bit of story. Torres had a .970 fielding percentage with 17 errors total. That ranks 18th out of 19 second basemen with qualifying amount of playing time. Fangraphs has his defense metrics at -7.9, which is still not great. As you can see, Torres swings at more pitches outside of the zone (while making less contact of them than league average) and makes much less contact in general than league average. His walk numbers also dropped a bit as he came to the majors. Plate discipline was not really something that’s been deemed as his weakness in his scouting reports and this is probably from facing Major League pitchers rather than minor league ones. I won’t panic over a 21-year old guy not picking up ML pitches well. It is something I would monitor though, just to see how he progresses. At this very moment, the Yankee infield is in a bit of a funky position. Gregorius is going to miss a chunk of the season thanks to Tommy John Surgery. With one year of control left, that puts some uncertainty in his Yankee future. As for Andujar, we don’t know if the team will stick him on third long-term. Heck, they are doing due diligence on Manny Machado, who could play shortstop or third. 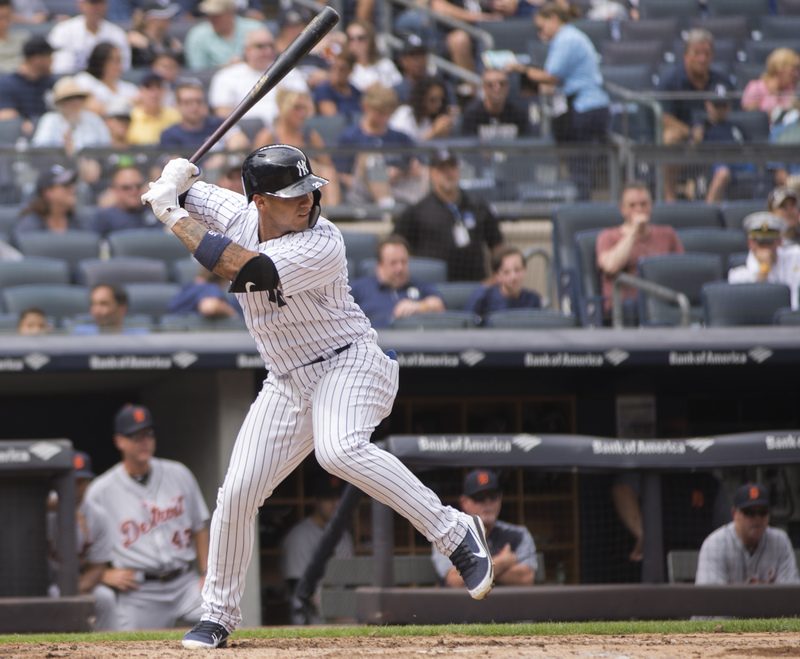 Depends on what happens, I think there’s a slight chance that the Yankees slide Torres back to short, but ultimately, he probably stays on second base – and will do so for a long time. We saw both strong and weak sides of Torres’s game in 2018. It feels like a broken record saying this but he’s a young guy who will probably get better with more experience. Improvements are never a guarantee but Torres seems to be one of the surer cases where you can bank on him being in pinstripes for years to come.